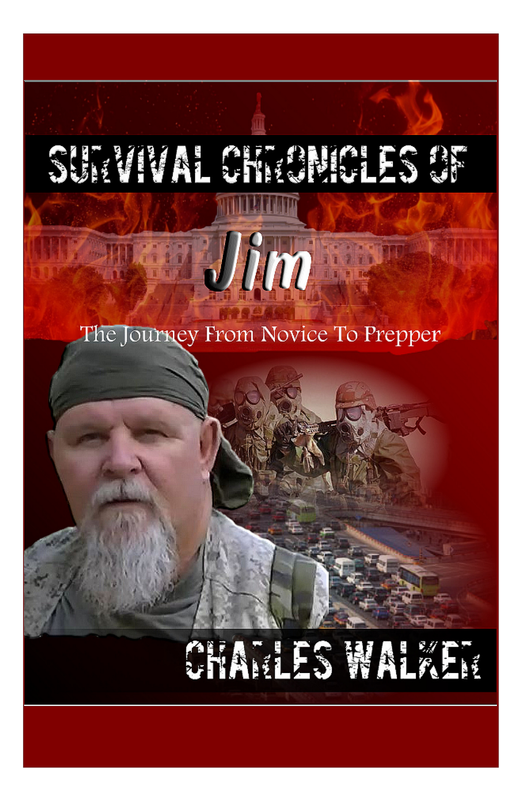 Sword Of Survival: Rabbit For Lunch? Rabbit is one of the wilderness game that can be caught fairly easy if done with patience. Although rabbit meat is filling and will stop the hunger pains, you can still starve from lack of fats not found abundantly in rabbit meat. Rabbits can be caught by digging them out of a hole, or smoking them out. They can be caught with snare traps and dead-fall traps, and with improvised hunting tools like the throwing stick (rabbit stick) or bow and arrow. Chasing a rabbit down on foot is out of the question, unless you get lucky. Rabbits can run up to 45 mph, like the Jackrabbit. Jackrabbits are considered a hare. Hares do not bear their young below ground in a burrow as do other leporids, but rather in a shallow depression or flattened nest of grass called a form. Hares are adapted to the lack of physical protection, relative to that afforded by a burrow, by being born fully furred and with eyes open. They are hence able to fend for themselves soon after birth. By contrast, the related rabbits and cottontail rabbits are altricial, having young that are born blind and hairless. All rabbits (except the cottontail rabbits) live underground in burrows or warrens, while hares (and cottontail rabbits) live in simple nests above the ground, and usually do not live in groups. Hares are generally larger than rabbits, with longer ears, and have black markings on their fur. Below are three rabbit breeds that you will probably come across if surviving in the Southwestern United States. The Antelope Jackrabbit is found in Arizona in United States and the states of Chihuahua, Nayarit, Sinaloa and Sonora in Mexico. The Antelope Jackrabbit is found in a variety of habitat. It can be found in grassy hills or plains. It can also be found in the deserts of the southwest as well. Jackrabbits are not uncommon in urban areas either, where they have adapted very well to human encroachment upon their habitat. The Antelope Jackrabbit has a body length that ranges from 18 to 24 in. long. Its tail will grow to lengths of 1 to 4 in. long. Its front legs grow from 4 to 8 in. long and the back legs can grow from 8 to 12 in. long. The legs are where the Antelope Jackrabbit gets its name, after the fast, leaping animals of the plains of Africa called antelopes. 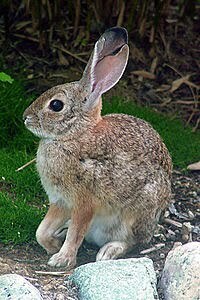 The Antelope Jackrabbit's ears grow to be 2 to 8 inches when fully grown. 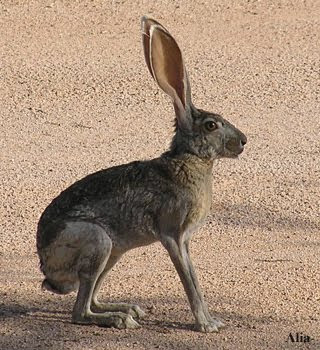 The ears of the Antelope Jackrabbit are not only used to hear but are also used to reduce and regulate body heat for survival in the hot conditions they live in. 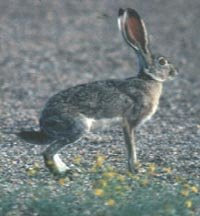 The Black-tailed Jackrabbit is a large, long-eared rabbit of the open grasslands and desert scrub of the West. Its fur is a dark buff color peppered with black, and its black-tipped ears are almost the same length as its hind feet. Black-tailed Jackrabbits can be found on brush-lands, prairies and meadows. They are often associated with pastures that have been grazed by livestock. Unlike other animals that need dense brush cover, jackrabbits use the high visibility of pasture lands to spot predators before they spot them. The high prevalence of disease and parasites in wild jackrabbits also affects human predation. Many hunters will not collect the jackrabbits they shoot, and those that do are well advised to wear gloves while handling carcasses and to cook the meat thoroughly to avoid contracting tularemia. Most hunting of jackrabbits is done for pest control or sport. The Desert Cottontail is found throughout the western United States from eastern Montana to western Texas, and in northern and central Mexico. Westwards its range extends to central Nevada and southern California and Baja California. It is found at heights of up to 2000 meters. It is particularly associated with the dry near-desert grasslands of the American southwest, though it is also found in less arid habitats such as pinyon-juniper forest. Like all the cottontail rabbits, the Desert Cottontail has a rounded tail with white fur on the underside which is visible as it runs away. It is a light grayish-brown in color, with almost white fur on the belly. The Desert Cottontail is not usually active in the middle of the day, but it can be seen in the early morning or late afternoon. It mainly eats grass, but will eat many other plants, even cacti. It rarely needs to drink, getting its water mostly from the plants it eats or from dew. Like most lagomorphs, it is coprophagic, re-ingesting and chewing its own feces; this allows more nutrition to be extracted. The young are born in a shallow burrow or above ground, but they are helpless when born, and do not leave the nest until they are three weeks old. Where climate and food supply permit, females can produce several litters a year. Mountain (Nuttall's) Cottontail is a small rabbit but its size is relatively large for the genus. Hind legs are long; the feet are densely covered with long hair. Ears are rounded at the tips and relatively short; the inner surfaces are noticeably haired. It has pale brown fur on the back, a distinct pale brown nape on the back of the head, black-tipped ears, a white gray tail, and a white underside. A smaller size, the brown nape on the back of the head distinguish this cottontail from the Snowshoe Hare. This species is confined to the inter mountain area of North America. It ranges from just above the Canadian border south to Arizona and New Mexico, and from the foothills of the eastern slopes of the Rocky Mountains and west to the eastern slopes of the Cascade-Sierra Nevada Range. Most activity for these rabbits is before 0900 and after 1600 hours. Great info! Here in central TX there are a lot of rabbits, good to know something about them, especially BEFORE an emergency situation. Thanks.